Yearly the local newspaper, the Chronicle-Tribune sponsors a county-wide contest to determine the best products and services available to our community. Comforts of Home continues to receive recognition from its vendors for a job well done. Comforts of Home Owner, Sherry French was honored by the YWCA Tribute to Women in the Entrepreneurship and Innovation Category. 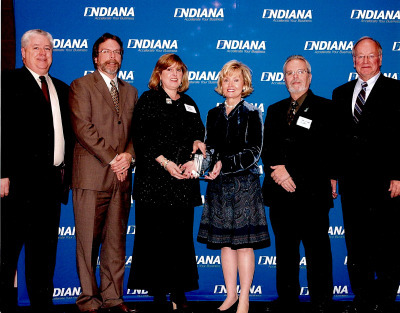 Comforts of Home leadership was recognized as a 2009 Economic Development and Growth through Entrepreneurship Awardee.